The Mk II was a second-generation version of the TG X 50. Both were dynamic microphones intended for bass instruments and kick drums. The primary difference between the two versions was the introduction of a passive EQ filter in the Mk II. 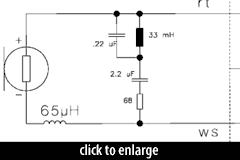 Note that the circuit schematic (“Schaltbild”) in the cutsheet linked from the right sidebar is incorrect — it does not show the filter. The simpler schematic is this cutsheet is actually for the original TG-X 50, not the Mk II. The passive EQ filter circuit in the Mk II is pictured here (as diagrammed in the Opus 65 cutsheet). The capsule in both microphones was Beyerdynamic’s TG-X 80, also seen in the Opus 99 and M 99 TG. The Mk II’s EQ filter is an LCR circuit. As a passive circuit, it can only cut, rather than boost frequencies. 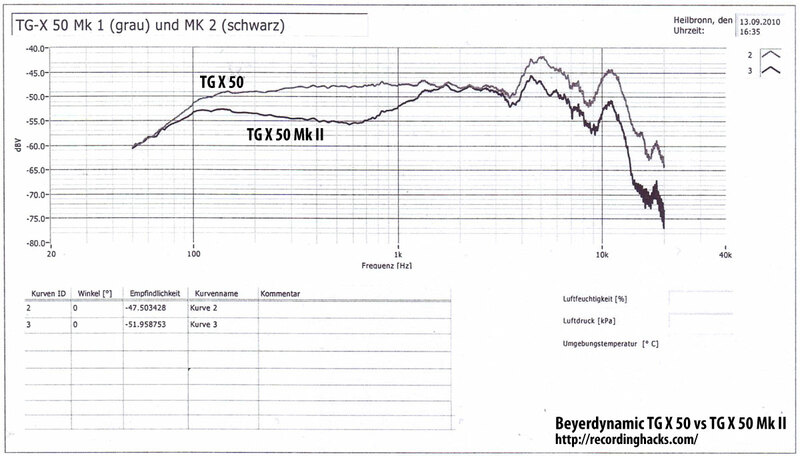 Comparing frequency-response measurements of the TG X 50 and TG X 50 Mk II shows the effect of the resulting equalization: a broad mid-frequency scoop of up to 7dB, from 100Hz to 1kHz, and a 3–5dB cut above 4kHz. 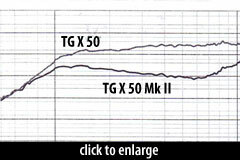 By the year 2003, the TG X 50 Mk II had been rebranded as the Opus 65, and the TG X 50 (Mk II) name had been retired.